Maryland Addiction Recovery Center welcomes Dr. Jennifer Richards to the MARC team! 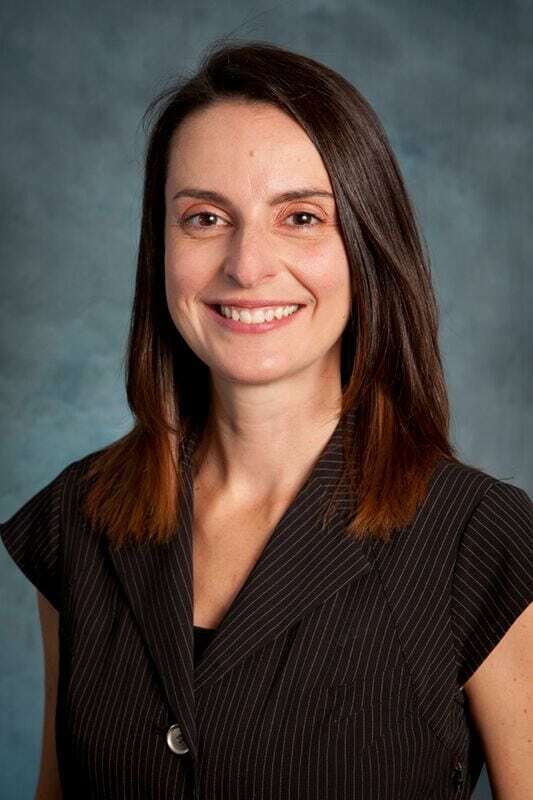 Maryland Addiction Recovery Center is proud to announce the addition of Dr. Jennifer Richards, PsyD., to the MARC staff as Staff Psychologist. In the attempt to continue to evolve, grow and strengthen the clinical services provided to patients and families in need of addiction and dual diagnosis issues, MARC ownership is excited to bring Jennifer Richards on board. Originally from Cheshire, CT, Dr. Richards began pursuing a career in psychology after finding passion for the subject in high school. During her time at Loyola University, where she graduated with honors, Dr. Richards immersed herself in a variety of opportunities that supported the school’s mission of service to others. These experiences helped foster her commitment to a helping profession as well as a love of Baltimore. Post-graduation, Dr. Richards was accepted into the doctoral program in clinical psychology at George Washington University in Washington, D.C. While attending GW, she completed externships at The Lodge School, The Children’s Guild and worked as an outpatient therapist at the Center Clinic at GW. She was a fellow at the Baltimore-Washington Center for Psychoanalysis where she developed a strong interest in psychological testing, particularly projective testing. Moving back home to Connecticut, Dr. Richards completed her internship and postdoctoral fellowship at the Institute of Living/Harford Hospital where she spent the majority of her time working on the child and adolescent psychiatrist inpatient units, while also offering outpatient services and medical inpatient services at Connecticut Children’s Medical Center. While there she was awarded the Dr. Cornelis Boelhouwer Award in Education & Research for her work with the pediatric urology department on the psychological impact of severe hypospadias. After completing her postdoctoral work, Dr. Richards started a private practice in Wethersfield, CT. In the summer of 2008, Dr. Richards found her true passion when she became the Clinical Manager for Rushford Academy in Durham, CT, a 12-bed state-funded residential facility for adolescent males with co-occurring disorders and an associated state accredited private special education school. After four and a half years, Dr. Richards was promoted to Clinical Director of Adolescent Residential Services and took over the leadership of Stonegate, a 16-bed private residential treatment program for male adolescents. During her overall time at Rushford, Dr. Richards was a project leader on several organization-wide initiatives and her team was repeatedly highlighted for outstanding work. Dr. Richards journey next took her to St. Thomas of the US Virgin Islands, where she joined an outstanding team of clinicians at Insight Psychological Services. During her time there, she provided individual, group and family psychotherapy, assessment services for children, adolescents and young adults, supervision to clinicians and interns and let seminars on Acceptance & Commitment Therapy and the History of Psychology. Additionally, she was contracted with the Department of Education and Department of Special Education to provide in-school services and worked closely with both public and private schools and island hospitals to provide educational lectures and trainings on substance use disorders. It was during this time in her life that Dr. Richards participated in several intensive therapeutic experiential activities and became more interested in trauma work and experiential therapies. She also developed a strong interest in Buddhist psychology, Native American teachings and Toltec wisdom. Moving back to the states, Dr. Richards was given the opportunity to integrate her wide-ranging passions into a single project when she was hired to be the Clinical Director of Brightwater Landing in Wrightsville, Pennsylvania, a 56-bed detox and residential treatment facility specializing in addiction and trauma treatment for a dually diagnosed population. She was responsible for the development of clinical programming and worked closely with nationally-recognized experts to develop integrated and comprehensive clinical care for clients presenting with multiple addictions and complex trauma. The program of excellence included several experiential therapies, with Dr. Richards’ belief that clients getting out of their minds and into their bodies is an essential component of the therapeutic process. Dr. Richards decided to step out of the field and take time away for family, while spending some time working with veterans providing psychological assessments and evaluations. After her son turned one year old, Dr. Richards made the decision to return to the addiction field with Maryland Addiction Recovery Center and is incredibly excited to be on board as staff psychologist. Dr. Richards clinical experience, leadership skills and passion for helping those suffering from addiction, trauma and other co-occurring issues will continue to elevate the excellent programming and care that clients and referents have come to depend on at MARC.